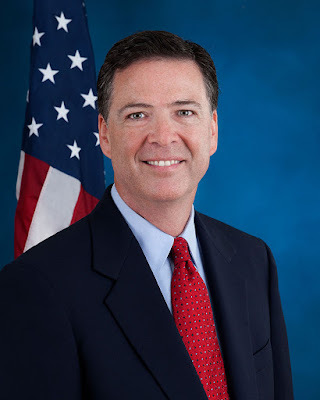 Jordain Carney at The Hill reports on FBI Director James Comey and the FBI's investigation of Hillary Clinton's emails. FBI Director James Comey is being thrust into the spotlight as the controversy surrounding Hillary Clinton’s personal email server intensifies. The FBI is investigating the security of the former secretary of State's email setup, including if classified information was mishandled. The probe is putting the nation’s top law enforcement agency at the center of a political battle leading into the 2016 election. Comey has long shown an independent streak that's gained him wide bipartisan praise and helped him sail to a 93-1 confirmation vote in the Senate. That independence will be tested with Republican lawmakers demanding answers and Clinton's presidential campaign team being dismissive of a controversy it sees as politically drummed up. Comey has been in the middle of bruising fights before. Yes, Paul, this will be an important moment in the history of the FBI.